SUNNY SUN&FUN HOLIDAYS … YOU CAN TRAVEL TO AN UNKNOWN PLACE WHEN THERE ARE FOLKS WHO KNOW ALL ABOUT IT! You ain’t have to blush to have that tan! Make it to the “Sunny Sun&Fun Holidays” Travel Agency to have that change to come! NO SUN … NO FUN … IF YOU DON’T RUN! O.K. needn’t have to rush so much, yet it is pretty worthwhile to have a glance and chose from one of the best offers that are on the desk now with sales until the end of March. You’ll be able to choose a landscape full of nature’s sunshine that is most suitable for you. 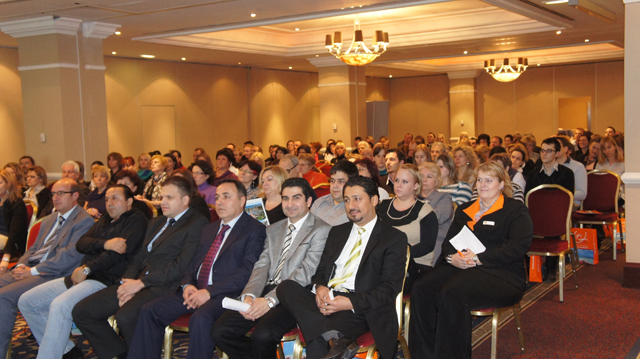 The Sunny Sun&Fun Holidays recently held its last year’s annual report at the Corinthia Hotel Budapest. Ms. Mariann Nemes talked about the recent year’s activity figures and Mr. Péter Kovács, Head Agency Service initiated the newcomers/partners of this year’s rollout and welcomed the parties to the ball of 2012. He was pleased to state that over the three years they were able to make it happen for more than 10000 passengers to travel abroad with their agency. The good price and product had made its expectation. They started to launch new sites: Thailand, Goa and Dubai. Last year the agency successfully made the test to reach the ISO certification. Same goes to the year 2012 just like last year they will be present at the Hungexpo Travel Expo during March, 1-4. 2012. They will have their own three charter airplanes on the runways from the 6th of June with the logo: “ Handle with care”. The Orange Sun&Fun Holidays had made liable programs at the new Orange Sunny Clubs in Alanya at the 5*Jasmine Beach Resort Turkey and also 5* Serenity Fun Club in Hurghada Egypt. Whether at the moment the time is not on your side, then give them a call to see where you haven’t had been yet, or if already visited that country, maybe there are still cosy and delightful parts you might be interested in hopping by. Here’s one office that I am aware of, where you will feel right away you’re in the prefect hands (SUNNY PARADISE TRAVEL KFT +36 30 234 2635 ). I have traveled with them and they very reliable. Sun & Fun Holidays Agency had implemented its website also with the use of iPhone and iPod, so the application are now available up there. After downloading the application at any time, simply look for the promotions of, quote request or contact the staff by phone (+36 1 411 1515) or post an e-mail (info@sunfun.hu). The sales are only on early booking discount prices. Only available by contacting the office, non through the site (www.sunfun.hu) web reservation. Hi, Good info. Gonna visit this agency and see what, where they have the goodies. I myself with a couple of friends are intending this year in having several trips while temporary staying in Budapest. Thumbs up to your web. Dear Judith… first part to ya Q. Not yet, but I have had been at their annual press announcement I must tell ya it is a company with many good and relaible side. Ya’ll be in good hands, just chose a trip and they will be together with your heatbeat.